Enable firewall, periodic scans, failed login block, secure passwords. Speed up delivery of static content and pages: configure it for visitors to prevent overload by bots/crawlers. Load JS from CDN. Reduce load. Redirects pages to HTTPS (SSL required). Use an account to send emails with necessary verifications to reduce spam filtering and lost emails. Setup a phpinfo.php file containing code phpinfo() in that folder, to check if library is loaded. If server has a firewall, this requires opening some ports in firewall for TCP. Ex: 5555, 8080. Check scripts like push-server.php . Live video solutions provided by VideoWhisper. Powered by VideoWhisper WordPress VideoChat. 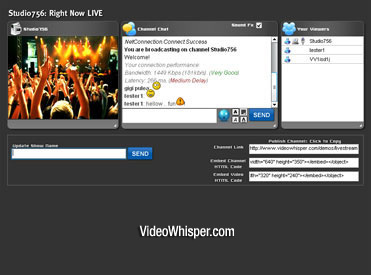 Powered by VideoWhisper Live Video Presentation Software. 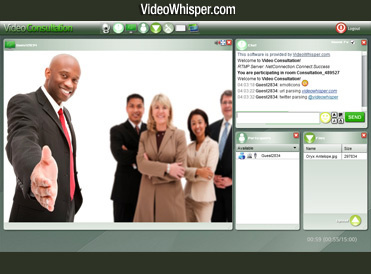 Powered by VideoWhisper Video Conference Software.